If you’re about to embark on an island getaway, there are really just two ways to get around the island: Either you drive or you hire a private car transfer company. Private car transfers are different from car rental companies in that they are chauffeured cars, with drivers guiding their guests around the area and helping them in whatever way they can. Private car transfers are popular among travelers to many places because they are convenient, with convenient meaning you only to sit inside the vehicle and wait for the car to arrive. In any popular tourist destination, you will always find different private transfer companies vying for customers. If you’re about to travel on an island getaway, make sure to contact different companies and check out their rates and services. While airport meet-and-greet is the standard service, there are companies offer special services like grocery shopping, and concierge services. And yes, there are companies that offer guided tours. One of the most important things to look for in a private car transfer company is the car. Check out the company’s website and see what vehicles they have and if those cars are in great condition. Also, find a company that offers full insurance coverage and has licensed bilingual tour guides who can take you around the destination comfortably. You can definitely find more information about private car transfers in any location in the world by searching on Google. 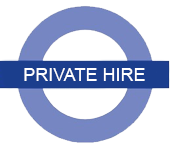 Type in private car transfers plus the name of the place you will be travelling to. Your best bet for finding a reputable company that will deliver and over-deliver on its promises is by reading the reviews and testimonials by former customers. Don’t believe a company when it claims to be the best private car transfer company in the area they operate in. You need to trust the experience of other people to make the decision for you. Sift through the reviews and see if it’s generally good or generally bad. While you can’t expect any company to receive a favorable rating 100% of the time, the really good companies would have a positive rating of at least 95%. If it’s your first time to travel to a place, we think you should hire transfer services just to make your travel as stress-free as possible. Merclux is the winning combination of the extremely expensive chauffeur standards of London and normal taxi fares in Bristol merged within the prized luxury of Mercedes.